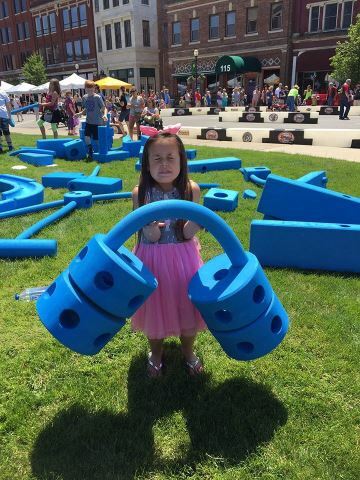 The Imagination Playground is an interactive and transformable playground that consists of several block sets that rotate between KHCPL’s locations. It is a great way to encourage creativity and play for children of all ages. Children can have a blast letting their imaginations come to life and parents will enjoy seeing their children grow their muscles and their minds simultaneously. Thanks to help from YOU, our entire community, we won the large set in a giveaway. Solidarity Credit Union graciously donated our medium set, which allows us to now have a playground at multiple locations at the same time. The schedule for each is listed below.